Rooms from $69.70 per night. Description This Dahlonega, Georgia hotel has an outdoor pool, free internet access and non-smoking guest rooms. 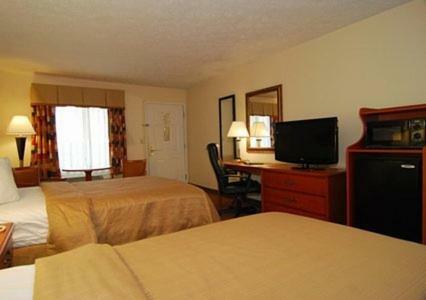 An outdoor pool well-equipped rooms with free Wi-Fi and free continental breakfast are features of the Quality Inn Dahlonega. This low-rise Dahlonega hotel provides free Wi-Fi microwaves refrigerators and coffeemakers in all 42 rooms; some rooms have jetted tubs. Start your day with the free continental breakfast before a full day of exploring North Georgia. Wrap up the day with a swim in the seasonal outdoor pool or soak up some sunshine on the sun deck surrounded by greenery. There's a business computer in the lobby for added convenience. The hotel is a mile from Dahlonega's downtown where guests can explore unique shops and restaurants and visit the historic gold museum. North Georgia College and State University is also about a mile away. Go bargain shopping at the popular North Georgia Premium Outlets 25 minutes away by car in Dawsonville. The cascading waterfalls and forest trails at Amicalola Falls State Park are 20 miles from the hotel. Hartsfield-Jackson Atlanta International Airport is approximately 75 miles away. 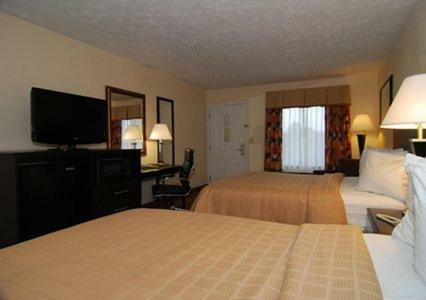 Add Quality Inn Dahlonega to your free online travel itinerary.